Already 21 countries and the European Union as a whole have adopted a National Advisory Board. The goal of an NAB is to bring all stakeholders within the field together, and as such the knowledge and know-how of local success stories are shared to be utilised worldwide. 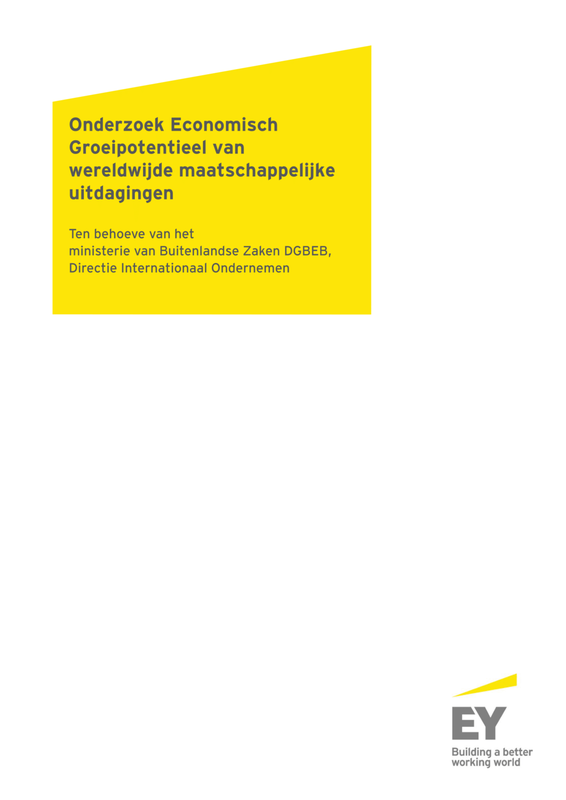 This report addresses the question whether there is a need for an NAB in the Netherlands. Startpunt voor dit rapport is dat de SDG’s niet enkel urgent zijn voor het bouwen van een duurzame wereld, maar ook economische kansen bieden. Onderzoek van de Business & Sustainable Development Commission toont aan dat duurzame bedrijfsmodellen gericht op de SDGs kunnen resulteren in kansen ter waarde van tenminste $12 duizend miljard tot aan 2030. Deze publicatie is een eerste verkenning van de economische kansen van wereldwijde maatschappelijke uitdagingen, zoals verwoord in de SDGs, voor het Nederlandse bedrijfsleven. The Dutch SDG Investing (SDGI) Agenda and report serves to reinforce our commitment and to offer concrete recommendations for 'SDGI action' in context of Dutch Investment value chains. It articulates milestone achievements to date, priorities that we will collectively undertake, as well as ways in which individual institutions will seek to make a difference. Most importantly however, it identifies areas where we believe that collaboration with the DNB and the Dutch government will unlock greater SDG investment and increase our net positive contribution to each of the seventeen SDG's - including SDG #17 which calls for greater collaboration between public and private sectors. This report, which was commissioned by the Department of Economic and Social Affairs of the United Nations (UN-DESA), seeks to contribute to the ongoing and expanding discussion on how to increase and optimize the involvement of the private sector in financing sustainable development. Its main objective is to understand the financing challenges of the landmark agreements through a private sector lens. 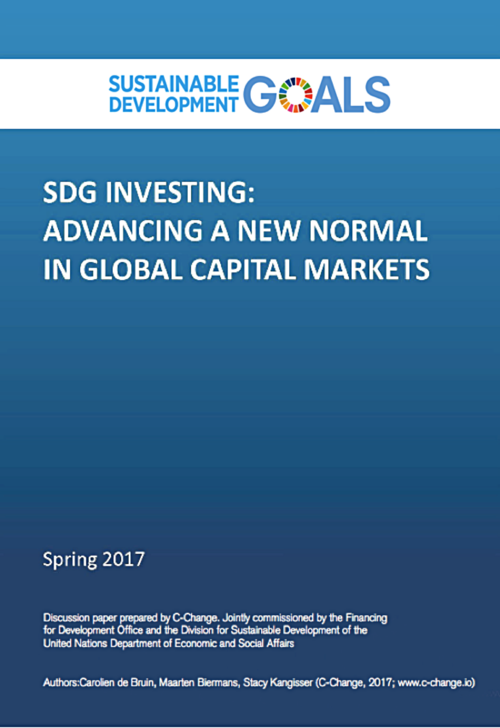 The report highlights the need for a ‘sustainable financial system,’ flags the critical role of investment capital in sustainable development finance, describes drivers and barriers to investing with impact as well as to using the SDG framework of choice, and reviews available public sector mechanisms for advancing the role of private sector capital in development finance.